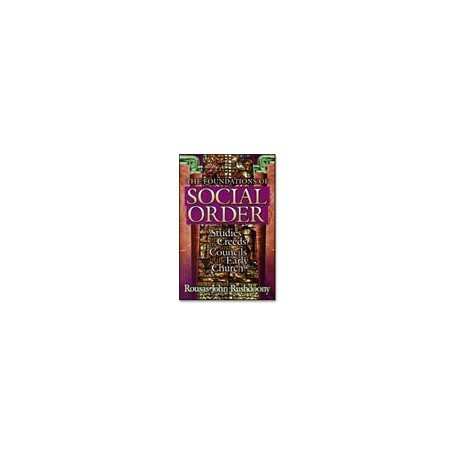 Every social order rests on a creed, on a concept of life and law, and represents a religion in action. Rousas John Rushdoony examines the creeds and councils of the early Christian church. Every social order rests on a creed, on a concept of life and law, and represents a religion in action. The basic faith of a society means growth in terms of that faith. The creeds and councils of the early church, in hammering out definitions of doctrines, were also laying down the foundations of Christendom with them. The life of a society is its creed; a dying creed faces desertion or subversion readily. Because of its indifference to its creedal basis in Biblical Christianity, western civilization is today facing death and is in a life and death struggle with humanism.